The ISDE: More Than Just a Race, It’s an Opportunity to be Part of History! The International Six Days Enduro (ISDE) is the oldest off-road motorcycle race in the world, enticing riders and enthusiasts alike for over a century. 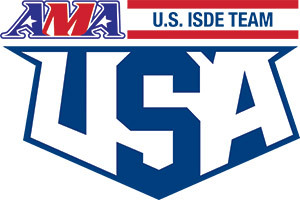 The original ISDE was held in 1913 in Carlisle, England. Since then, it has become an annual event that riders from near and far train to qualify for with teams from as many as 32 different countries vying for a spot on the podium. This race is the ultimate test of endurance, challenging riders’ fortitude for 6 days and upwards of 1,250 miles. The ISDE is a race that has mental, physical, and mechanical components that all require a certain level of expertise if a rider wants to compete throughout all 6 days. Besides navigating the grueling course, riders are only granted a few minutes per day to perform the necessary maintenance to their motorcycle, and without the help of anyone else. It is truly a survival-of-the-fittest event that demands 100% focus, as just a single mistake could jeopardize a team’s chance at winning gold. Day one and two are all adrenaline. Muscles and minds are fresh and racers quickly settle on a strategy as they become acquainted with the lay of the land. By day three, exhaustion starts setting in. Day four could be the most difficult. The course is beat up, bodies are beat up, and mental acuity is compromised. Day five brings some reprieve as racers take on a new course, which provides a much-needed change of scenery. And by day six, everyone is just running on fumes. It’s all you have left in the tank, both literally and figuratively speaking. To the off-road racing community, the ISDE is the highest level of racing. Having the privilege of participating in an ISDE event is a rite of passage for riders, proof of commitment to the sport. This is an event that could open doors professionally. It’s more than just a feather in the cap, it’s an opportunity to be on the world stage. In taking a look back at some of the racing greats whose names have graced the ISDE American ISDE Team roster, it’s hard not to think of Rodney Smith. Rodney has been a racer his whole life and is currently the Beta USA Race Team Manager. His ISDE debut came in 1992 in Australia where he finished 2nd overall, an accomplishment that many racers would love to hang their hat on. Rodney describes these times with a fondness that anyone who has participated in a life-changing event can appreciate. When it comes to the ISDE (or “6 Days” as Rodney calls it), the whole is really greater than the sum of its parts. The renowned nature of the event itself far surpasses what racers come there to do on an individual level. Yes, competitors strive to do well and place high, but there is an incredible level of camaraderie among riders and an overall appreciation for the pure grit it takes to finish such a true test of endurance. The Lehr family is also no stranger to the world of racing. Brothers AJ (25) and Drew (19) have both qualified for a 2018 U.S. club team, a rare occurrence that has only happened 4 other times throughout the history of the ISDE. Even though he is considered young by societal standards, AJ is widely recognized as a veteran racer. This year marks his 6th time qualifying for the ISDE, but the fact that he gets to compete alongside his brother makes it all the more special. When asked about any words of wisdom he has for Drew in his ISDE debut, AJ jumps into older brother mode and explains, “I tell him to calm down, reign it in. Tame it back. Strategize. It’s more important to finish than to be the fastest in one spot. Look at the long haul, the whole picture – don’t think about the short game. Think about day 6 on day 1.” These words of wisdom are advice any newcomer to the ISDE could benefit from. Drew is the young buck, the juvenile rattlesnake who doesn’t yet know how to meter his venom. His racing style is speed meets strategy whereas AJ prioritizes strategy over speed. Having these two compete alongside one another is setting the stage for a thrilling 2018 ISDE. They are joining 19 other US club team riders in Viña del Mar, Chile for the races November 12-17th. Another club team member is California native Dante Oliveira. His career began when he was just a wide-eyed, knee high toddler watching his uncle race motorcycles for sport. Dante’s infatuation with riding continued when he received his first bike on his 6th birthday, a PW 50. As one of five children in the Oliveira family, Dante has shared the racing spotlight with his siblings, most of whom have had their own racing accomplishments. This year, though, Dante pushed his career to the limit, riding for FMF/RPM/KTM Racing/Team Maxxis and achieving the previously unthinkable: he qualified for the ISDE U.S. team. The event coined the “Olympics of Motorcycling” is filled with racers of all different ages and experience levels. As a newcomer on the ISDE scene, Dante Oliveira is fresh blood in a seasoned rider pool. But don’t be fooled by his cool, calm and collected demeanor – Dante is a serious competitor whose raw talent led to an undefeated 2016 season in the WORCS Pro 2 Lights Class, as well as countless titles and championship wins throughout his career. Historically, the American Team has performed well at the ISDE, attracting sponsors who want to align themselves with serious racers at such a globally recognized event. McGraw Powersports is proud to become a part of the iconic history of off-road racing in sponsoring club team newcomer Dante Oliveira on his quest to earn an ISDE medal. As a premiere company offering specialized coverage for motorcycles, this is a unique and exciting opportunity to support young, talented riders and give back to the industry.